Starr & Shannon were in the hardware business. Text : Starr & Shannon Halifax 1815. 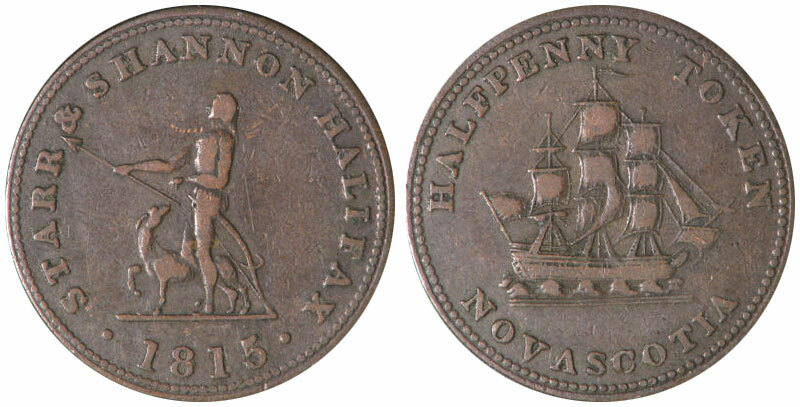 Halfpenny Token - Nova Scotia.